Working with russian vintage lenses, broke me in on using vintage lenses on my Sony Alpha A99V camera. To my surprise was the quality of these old wonders amazing both in terms of sharpness and the way they treats light. Colors, Bokeh wow. Having seen the good light I wanted more, and I swapped myself to a Pentacon 135mm f/2.8. This lens is easy adaptable to the A-Mount while it has a M42 Mount. When heading out on the vintage road, then the Pentacon 135mm 2.8 seems to be a good option. Let me start out with a word of warning, there is two editions of the lens, one cheap with 6 aperture blades and the original with 15 aperture blades, the last one is widely more popular among hipsters 🙂 , and therefore much more expensive than the newer edition. The more expensive 15 aperture blade is also known as the “bokeh monster”. It is softer wide open than the cheaper 6 blade version. Both of them offers a really nice bokeh. Both editions is manufactured in East Germany and are copies of a Carl Zeiss Jena. Optically they are identical, the lens i got is the cheaper version and it’s a very nice lens. It is reasonably sharp at f/2.8 but quickly getting sharper when stopped down. The sharpness of the lens is undeniable, and comes over really clear. 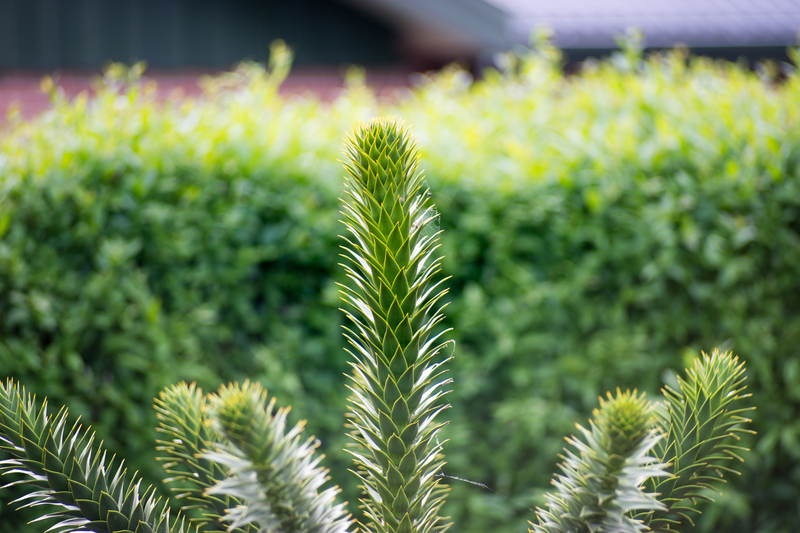 I usually use my Araucaria Araucana tree which stands proud in my garden. Light falls nicely in its sharp leafs. The colors stand very vibrant and well defined and look at separation qualities, this is what thrills me. The photo here is taken at a very overcast day, and the traditional bokeh bobbles isnt there. 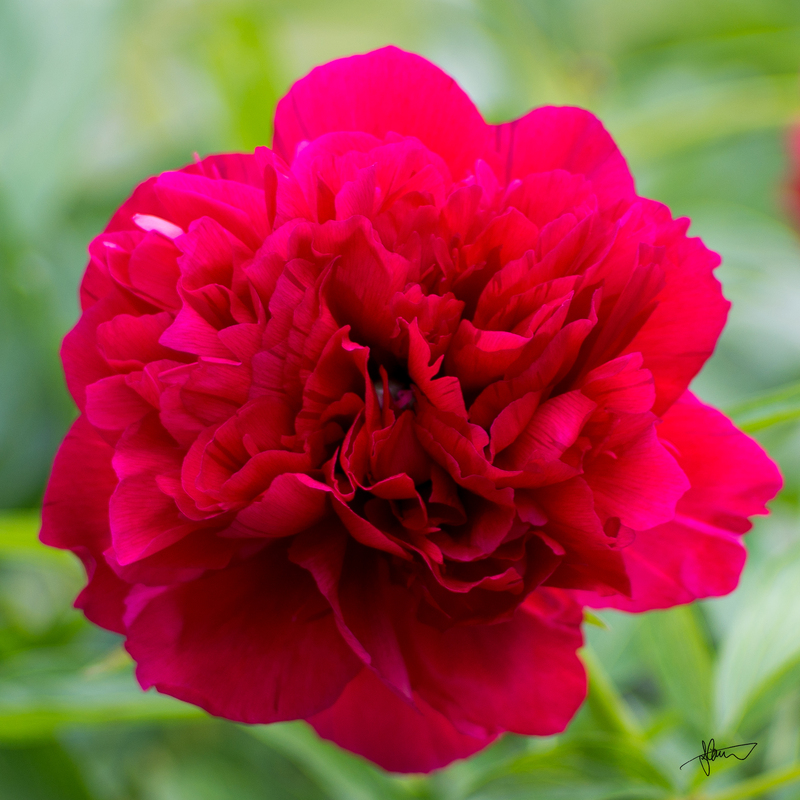 Another flower I like to photo is a Peony which blossoms in my garden. Besides having very organic and interesting forms, then it has a deep red color. Usually with Minolta lenses the colors comes over too pinkish, but with this lens we are closer to the true color of the flower. The bokeh of this lens is simply lovely, so round, simple and smooth. It makes bobbles almost without any effort from my side. To take this photo I placed a festoon hanging on my television (which also causes the strange double effect) the television and festoon is some 3 meters behind my subjects (the candles) and it bubbles so nicely, with a round and smooth bokeh. With intent is the bokeh not very busy, this gives the opportunity to enjoy how the forms is distributed over the image. Moving the festoon in closer to my subject reveals why the 15 aperture blade edition is more sought after than the 6 blades. The form of the bokeh becomes a pentagon, and looses its smooth round form. Here is another picture showing the difference in distortion over the photo. And another one showing how sharp and well defined the lens can be. Look how well 3 dimensional the result becomes. Its simply outstanding. Here is a shoot from Rebild bakker, Denmark. taken late in the day, handheld at f/2.8, I adore the bokeh of this glass, it has a very smooth expression. Its ability to separate the background from the motive is perhaps what I love the most of this piece. It is almost like fern is photo shopped onto the background. From Thorup, near Fjerritslev, North Jutland in Denmark. An historical trade village on the northern coast. Today its fishing which is carrying the activity on these shoorts, and to this day fishing boats is still being hauled directly up on the beach. Thorup Strand is one of Europe’s largest coastal landing places, with up to 20 fishing boats. Not far from Thorup is cliffs of Bulbjerg. Facing Skagerrak this limestone cliff the breeding place of the black-legged kittiwake. It is a wonderful place to bring your camera. This photo is a construct of 3 pictures, as i was shooting 135mm. Usually a more wide lens is recommended, or a really long to enjoy the bird, but as it turned out was the 135mm a really good match of the day.